After being dealt a blow with back problems and surgery this year, I thought I was in the clear and on the mend. Everything was going well. Sure, maybe I was a little stressed and struggling, but that's to be expected after a long bout of being out of commission. Getting back in the swing of things isn't easy. So I thought nothing of the pain in my side that started to get stronger. Or my increasingly sensitive skin on my stomach and back. Surely that was temporary and would go away on its own. I had things to do, after all, and a book to finish! It wasn't until the rash appeared that I finally gave in and went to the doctor. Yes. I have the freakin' shingles. 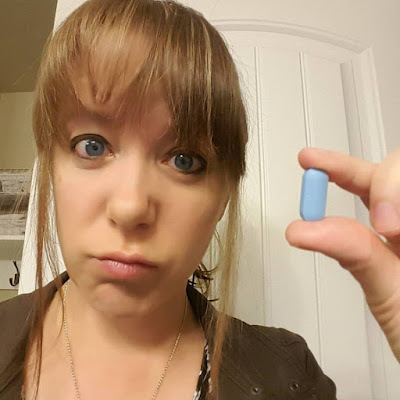 Suddenly my lovely plans of, well, EVERYTHING this week flew out the window as I was prescribed blue monstrosities they dare to call pills and told to stay away from pregnant women, newborns, and anyone with compromised immune systems. And anyone who hasn't been vaccinated for chicken pox. By the way, I'm not joking about the pills. I'm not one for lying around feeling sorry for myself, so instead of working on my writing (don't judge), I found something to obsess over. I've tried to use planners many, many times in the past. Large planners, small planners, digital planners, paper planners, ones I've printed off, bullet journals, etc. Nothing seemed to work. Not because I wasn't dedicated to it, but because none of them had everything I wanted, everything I needed. 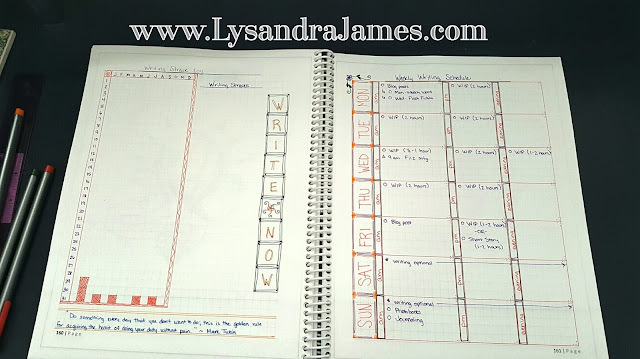 The system that came closest to what I wanted was bullet journaling. 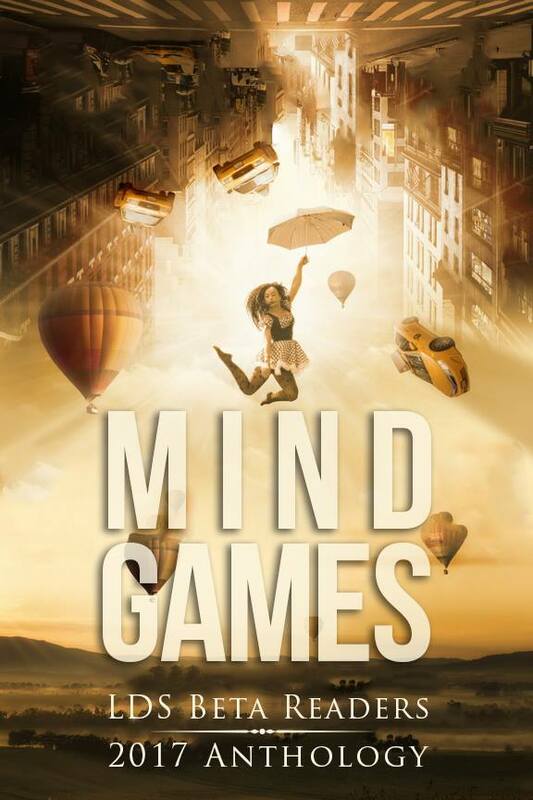 I loved the versatility of it and how I could create pages that worked best for me. Not only that, but I could make it pretty and fun. But I absolutely HATED how long it took for me to create each layout. I literally spent hours putting together layouts each week. I tried using the bullet journal in conjunction with an existing planner to save time and it worked better. But I hated having to carry both the planner and a notebook. 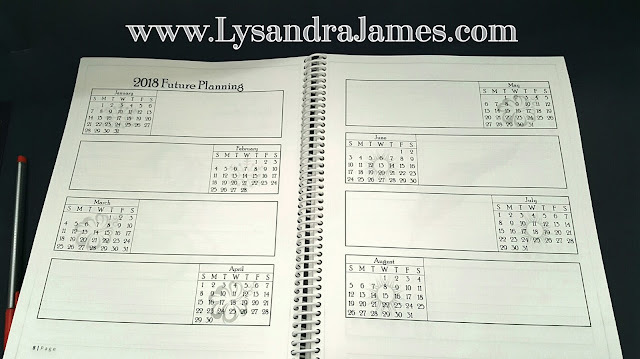 With so much down time where I had to distract myself from the pain and super itchiness of stupid shingles, tackling the problem of the perfect planner was exactly what I needed. Pretty, huh? After working all week to get everything exactly how I wanted it, I converted my planner to PDF and sent it to Office Depot where they printed it on 28 lb. white paper (trust me, it was worth the extra $.03/page), put a clear frosted cover on it, and spiral bound the whole thing. It cost me about $25, but I LOVE the result. It is 8-1/2" x 11", so it's a bit bigger than the average planner, but since I'll be lugging it around with my laptop which is just about the same size, it works well for me. Besides, it gives me extra room for writing and doodling and stuff. Since I have to look at the darn thing so much, I took the time to jazz it up with some writerly definitions and grayed out clipart. There's an index so I can find exactly what I want with minimal effort. Notice all that blank space in the index? That's so I can add more pages. If you look closely, these pages have graph lines on them. I purposefully made them lighter so they didn't distract from the future content. There are twenty of these pages at the back of my planner for any pages I need to add. As I add pages, I list them on my index. Here's an example. 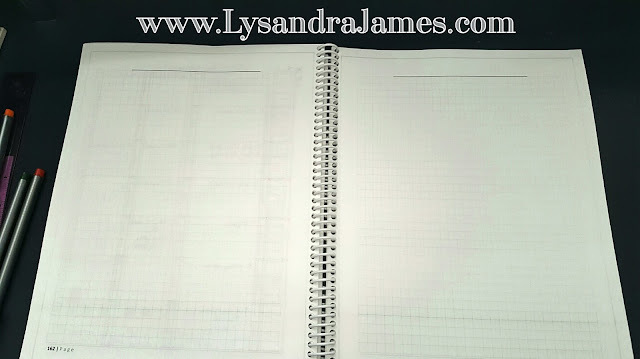 I didn't add either of these pages when I created the planner, realizing my need after it had been printed. So after I picked up my lovely planner, I added them and made them pretty. Then I listed them on my index. Each page is pre-numbered so I can flip to the correct spot in a jiffy. 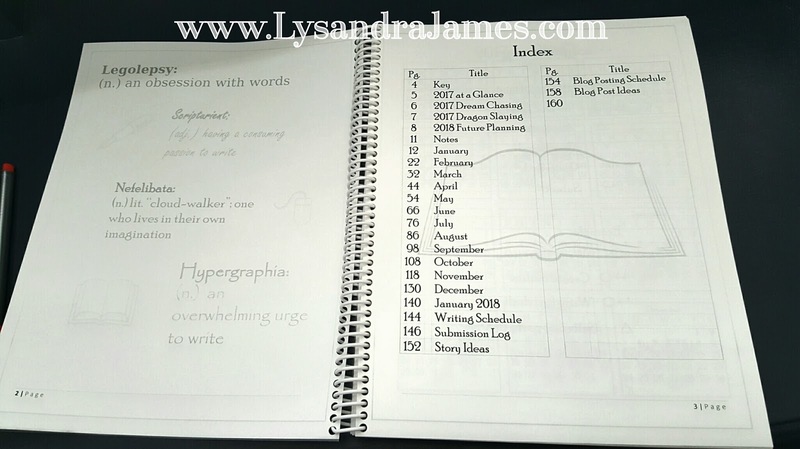 The first page is a writing streak page. I'm highly competitive, so this appeals to me. After all, who better to compete against than myself? The second page is my weekly writing schedule. I already know this, but having it written down somewhere kind of makes it official. Granted, I won't always be able to follow my schedule due to doctor's appointments, sickness, or other unexpected events. It's just nice knowing it's there. And when people ask me to commit to new things, I can truthfully tell them I simply don't have room in my schedule. Writing time protected! After my index is my key so I can remember my bullets and their purposes. Before discovering bullet journaling, I had already been using a form of this when taking notes. Pinterest helped me take bulleting to the next level. 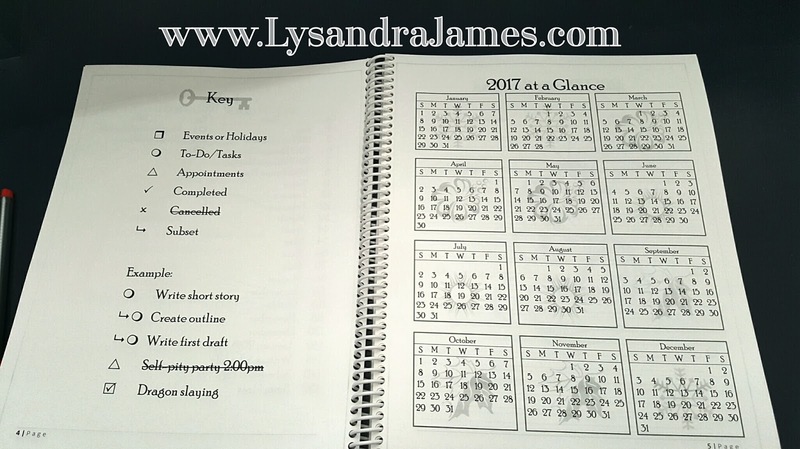 I also included a page with the entire year's calendar for easy reference. If I had been smarter (and not doped up on pain pills), I would have included a couple of pages for birthdays, holidays, and special occasions. I did it on the planners I made for my parents. Just not mine. Oh, well...that's what the extra pages are for. I did remember to include a spread for goal setting. Dream chasing and dragon slaying, actually. This is where I'll write my goals for 2017. These goals will be broken down into monthly bites, then even further into weekly bites. Then 2018 Future Planning. This is where I'll list anything happening in 2018 that I'll need to transfer over into my 2018 planner. Pretty self-explanatory, so I won't go into detail. My monthly spread is pretty nice. 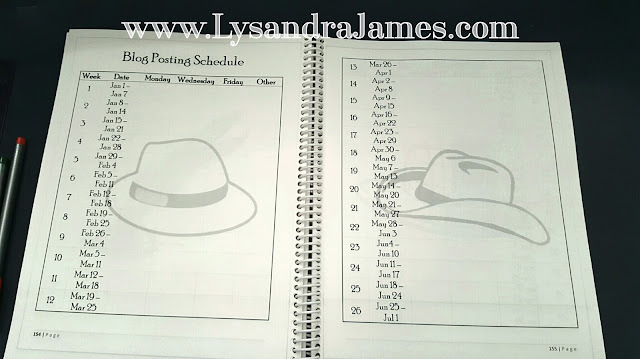 I decided to go for list form rather than the standard calendar grid for two reasons - it fits on one page and it allowed me to divide each day into morning, afternoon, and evening for appointments. I only left enough space for one appointment in each time frame since I don't like overbooking myself. On the opposite page I have spaces for holidays and events like birthdays and anniversaries, dream chasing (monthly goals), notes, and a spending log. Handyman Husband is big time into sticking to a budget, so I'm hoping that by keeping track of my spending - both cash and credit card - it'll help me see where our money is going. Handyman Husband has to track his own spending, gosh darn it. Can I tell you just how much I adore my weekly spread? Seriously. It's gorgeous. 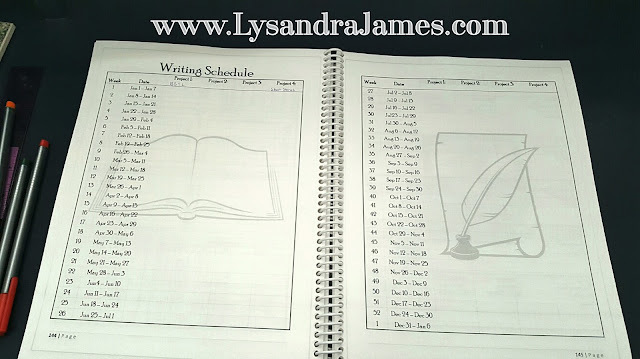 I separated my days into two columns - one for home & family and the other strictly for my writing. There's even a space to log how many words I've written each day. Yay! The little boxes underneath the numbers are for me to track how much water I'm drinking. I have an 18-oz. mug I use for water, courtesy of my most recent hospital visit, so I figure if I drink four of those each day, I'm good. On the other side of the spread, I have spaces to track all sorts of good stuff. 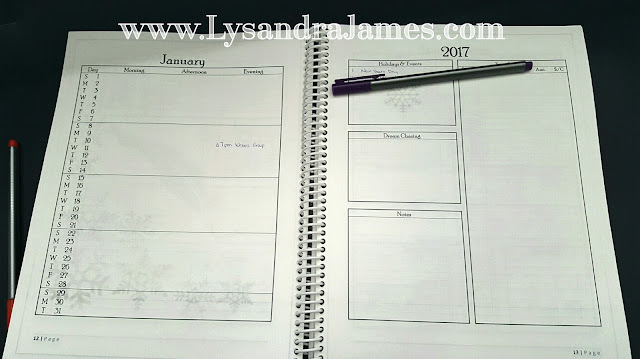 Habits (based off monthly and weekly goals), meal plan, daily gratitudes (Happy List), my weekly goals, chores, and notes. There's even a spot for me to doodle. Because I will. It's a must. After all the monthly and weekly pages, I have two pages dedicated to my writing schedule. I chose to track it weekly by project. I'm all about color-coding, so I'll most likely be using some really fun pens my friend, Kevin, gave me to make it all pretty and stuff. Notice I've already got Between Shadow & Light and my short stories listed. I've left space for two more projects for the year since I know BS&L won't take me the entire year. In fact, I'm hoping to submit by my birthday in June. 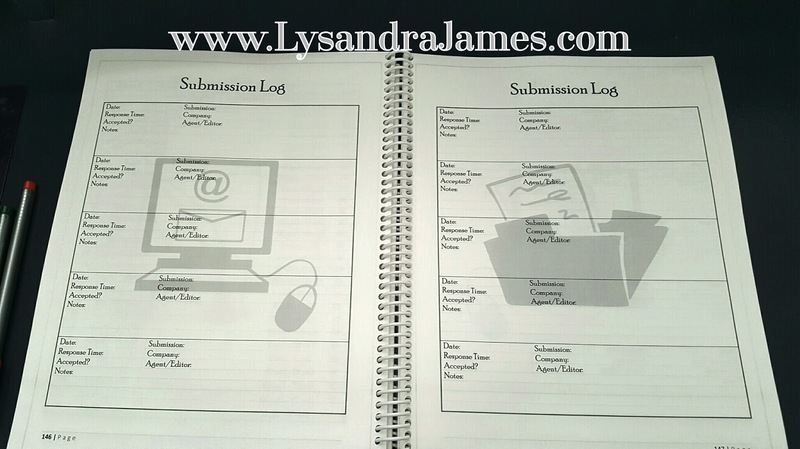 I have six pages dedicated to submission logs. Since I haven't submitted before, I wasn't sure how much space I needed for it. Who knows? Maybe one of the first five agents/publishers I submit to will accept BS&L (I plan on having five submissions out at a time). Or I may need to add pages in the back to accommodate rejections. Like a blog posting schedule! If you've been paying attention to my photos anywhere on social media, you'll notice I have a thing for hats. 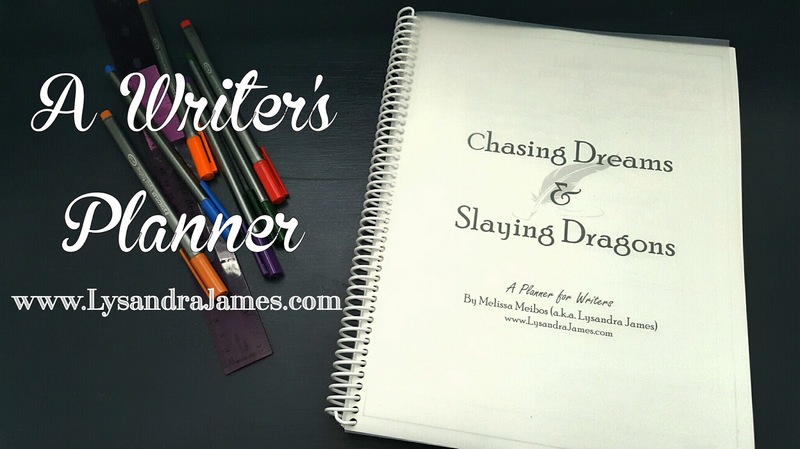 They're part of my writerly persona. So they, of course, made an appearance. My blog schedule is specific to my posting schedule. I post three times a week - Monday, Wednesday, and Friday. I may also use this as a stats tracker, but I haven't decided yet. This layout is a work in progress and will probably evolve quite a bit over the years. 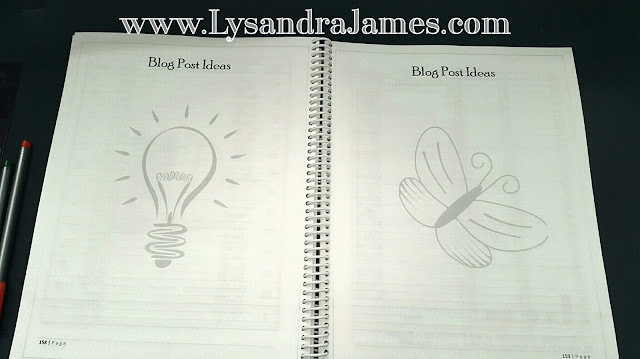 Along with a blog posting schedule, I have a space for ideas. There'a another layout similar to this one for story ideas. I just didn't take a photo and I'm now feeling too lazy to take it. At the very back, there's a page for me to list changes I want to make for next year's planner. Because heaven knows this planner isn't perfect. There will be features I wish I had and features I never use. That's the beauty of creating my own, though. I can customize it to fit my needs. Isn't it absolutely wonderful? I think so. Even though it is a work-in-progress. Wow! Is this for sale? I've been toying with the idea of creating my own planner-laying in prompts and lists for my current WIPs-but there simply is NOT enough time. I'd love to try yours out if it's available. You are so sweet! 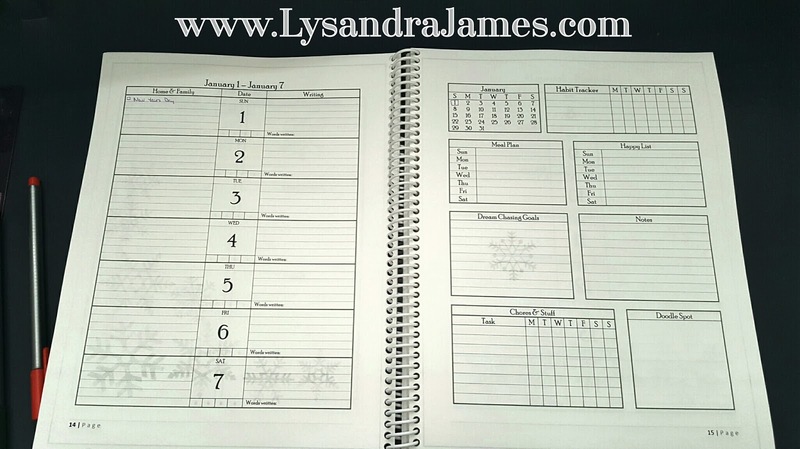 I searched high and low for a planner that would work before I gave up and created this one. Since it's a work-in-progress and still very rough, I'm more than happy to share free of charge. 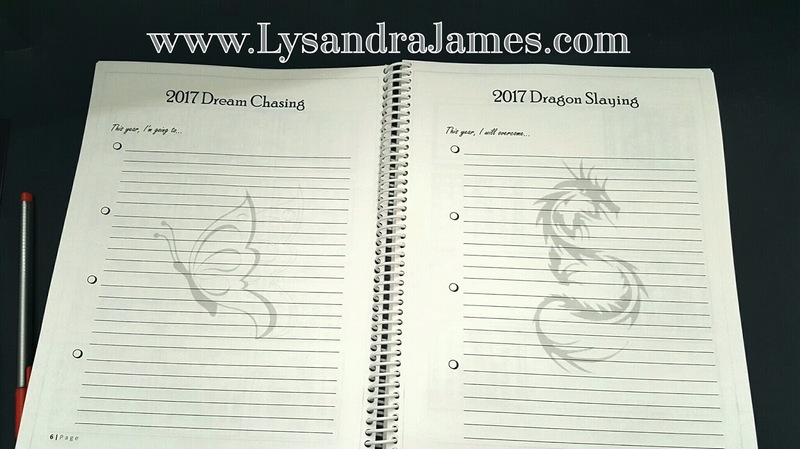 Email me at LysandraJames.author@gmail.com and I'll send you both the PDF and the Word versions so you can tweak them however you want. I FINALLY found you!! it only took me almost 9 months. I will e-mail you today! !